It’s been a million and one years since I posted last, and I sincerely miss it. I wanted to share my latest news, and I’m guessing you already know by the title of this blog. I know, right? You guys are smart. 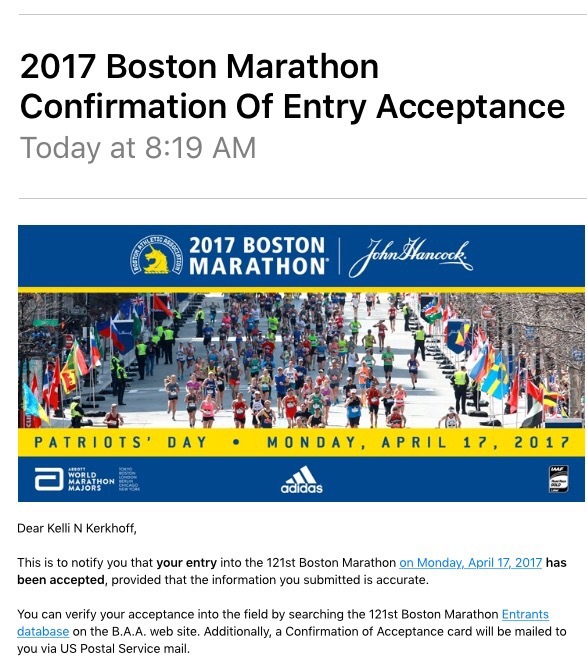 This morning, I received my confirmation of entry into The Boston Marathon. The memories flipped through my mind like flash cards. So much hard work, disappointment, blood, sweat, tears (happiness and sadness). Boston, Round 2, The Redemption Run, coming to a pair of running shoes in April.